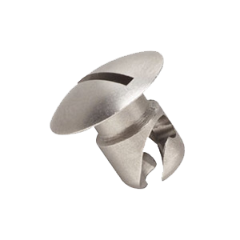 These Retainable Studs are Oval (round) Head with a Bright and Shiny finish. MilSpec typically stocks these in Zinc Plated Steel or Stainless Steel. Some sizes are special order only (minimums may apply). More sizes are available upon request. If you have any questions or need technical assistance, please Contact Us for details, we will be glad to help. *Note: New flare grommets are required when installing new studs. Make sure you get new grommets! Installation tools can be found here. Stainless Studs are Passivated After Machining as per AMS2700 to Prevent Corrosion and Have a Bright, Shiny Finish. (DFARS and RoHS compliant). 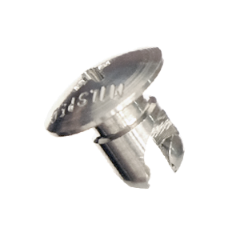 Steel Studs are Zinc Plated With Clear Chromate to Prevent Corrosion and Have a Bright, Silver Color Finish (DFARS and RoHS compliant).